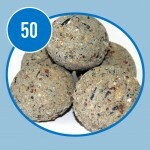 Feed Your Birds From As Little 1p Per Day! 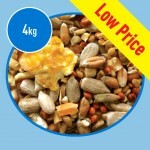 Wild Bird Food From Only £13.99! 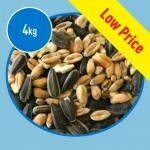 Reward the birds in your garden with our brilliant selection of wild bird feed. We offer a wide range of bird feed full of fibre, protein, fat and carbohydrates essential for the survival of your garden birds. 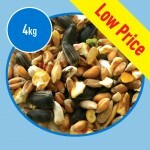 All our bird feed is available at BARGAIN PRICES; you can feed you birds from as little as 1p Per Day! 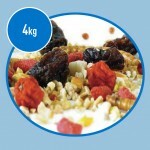 The Wild Bird Food Featured Below Will Be Dispatched within 10 days of Receipt of Order! 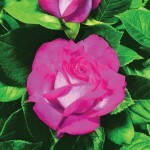 Massive Savings On Roses- Bring Colour To Your Winter Garden Today! 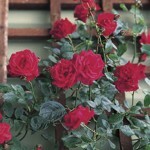 Bring colour and scent to your garden this winter with our Beautiful Roses! 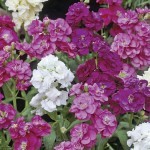 Look out for our multi buy savings – a great way to fill those gaps in your garden. 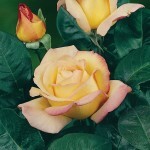 Choose from elegant hybrid tea roses, instant impact Half-Standard Roses, climbing roses or patio roses. 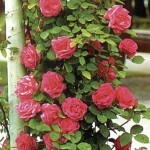 Climbing roses are great value for money and are extremely versatile. 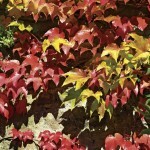 They will grow along wall, fences, into trees and even over buildings! 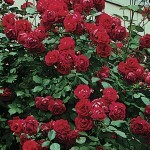 Climbing Roses are supplied as a Bare Root Plants or in 3 Litre Pots and are ready for immediate planting. 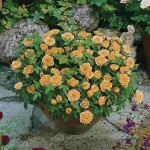 Half Standard Roses offer extraordinary displays that are perfect for patio planters and borders. 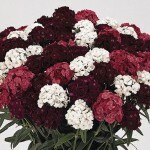 They are easy to grow, have a excellent resistance to pests & diseases and have a long flowering period which can last up to 4 weeks! 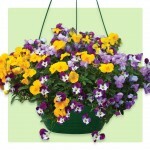 Super Ready Bedding Plants From £11.99! Smaller Tray Size, BIGGER Plants! 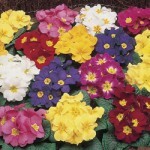 Our Super Ready Bedding Plants Are AMAZING Value With Offers Starting From Just £11.99 For 28 Super Ready Plants. 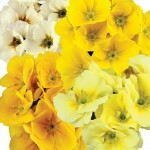 These Bedding Plants Are Grown On To A Larger Size For You & Are Ready To Be Planted Straight Out Into The Garden! 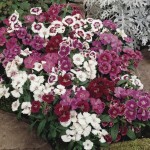 The Bedding Plants Featured Below Will Be Dispatched Till Mid November! 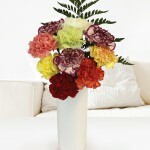 Make Your Loved Ones Day By Ordering One Of Our Special Flowers As Gifts. 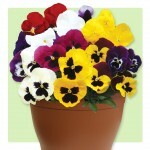 Prices Start From Just £9.99 With Free Uk Delivery And Arrive In A Lovely Gift Box With Your Own Personalised Message. 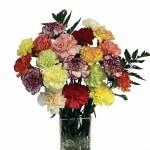 Whether It's For Someones Birthday, An Anniversary Or Just Because, We Have Suitable Floral Gift For You Here! 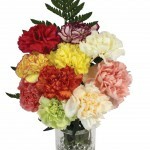 Delivered All Year Round To Your Preferred Delivery Date! 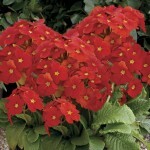 In a rush to buy bedding plants this autumn? 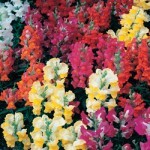 Perhaps you've spotted some gaps in your bedding displays? 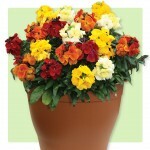 The bedding plants featured below will be despatched to you Within 10 Days Of Your Order! 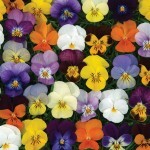 Now you can receive quality garden ready bedding plants for GREAT prices without wait! 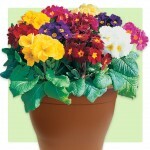 Made from specially created light and re-usable plastic and planted with 5 of our best selling Autumn bedding plants. 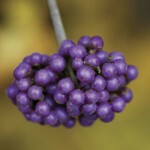 We use compost with added water retaining Raingel and feed which will last all season.. PERFECT! 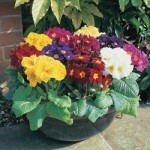 2 Planted Baskets Or Containers £19.90- That's Just £9.95 Each! 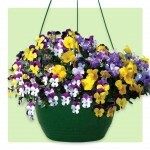 Take Advantage of our FREE DELIVERY and avoid the inconvenience of carrying plants home from the garden centre! 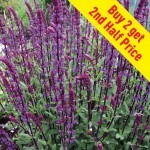 Have Glorious Colour This Year With These 2 Litre Pot Perennials! 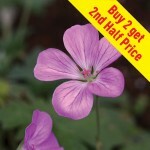 Perfect For Those Who Don't Want To Wait For Your Perennials To Mature! 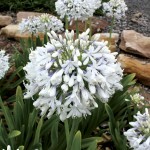 These Perennials Are Ready For Immediate Planting Giving An Instant Impact On Your Garden This Year And For Years To Come! Have More Space? 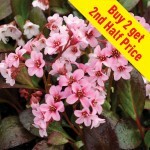 Why Not Take Advantage Of Our BUY 2 GET 2ND HALF PRICE Offer! 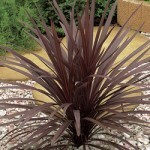 3 Litre Pot Shrubs- Instant Impact Plants! 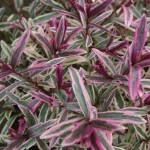 Have glorious colour this year with our 3 litre pot shrubs! 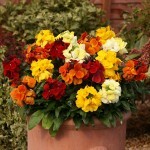 They are dispatched in 3 litre pots are ready for IMMEDIATE planting giving INSTANT impact this year and for years to come! 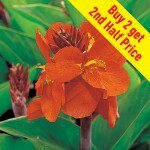 If you have a bigger space to fill, why not Buy Two and Get 2nd Half Price! Free shipping on all orders over £20 at Crocs has been extended until Sunday 29/07! That's not all, as there is now up to 50% off in the summer sale! Not your ordinary sandal. 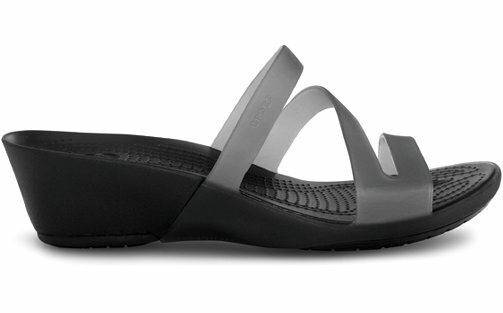 The sporty Carliana Sandal is made for women with an attractive strappy upper, mini wedge heel, easy-on-and-off design and the signature Crocs comfort she loves. Cool by design. Part of the uberlight, vintage-inspired Hover collection, the CrosMesh™ Hover Skimmer adds a ventilated upper for enhanced breathability. Our European-inspired lace-up loafer takes men from casual to dressy to a night on the town. 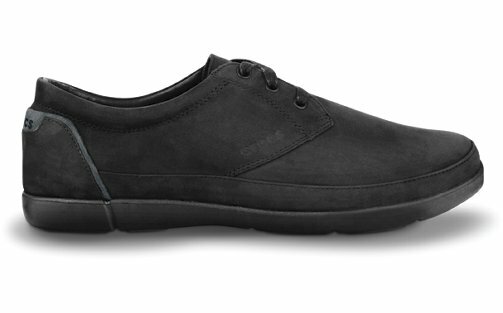 The Ellicot Lace is an oxford style shoe that features a classic 3-eye lace-up for a comfy, yet snug fit and a microfiber foot bed inlay for ultimate comfort. Add some swagger to your step with the Crocs™ Devario Mesh sneaker. Stylish suede accents the brushed croslite™ material sides of this comfortable sneaker. 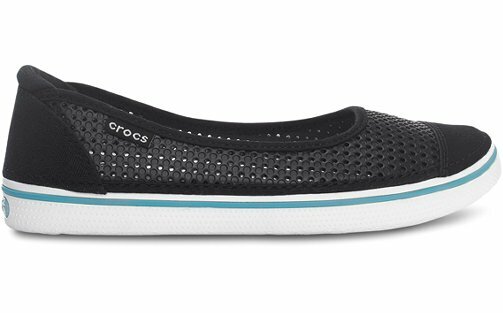 If you are looking for style and comfort, the Crocs™ Devario Mesh shoe is the perfect fit. The Crocs™ Crocband Toe Bumper Flip is the perfect first sandal for your little one. A croslite™ material footbed and classic Crocband styling make this fun summer sandal a must have, and the additional toe bumper will help prevent stubbing their toes. 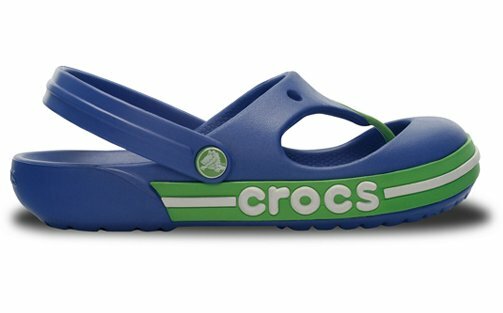 The Crocs™ Crocband Wedge is a new wedge designed Crocs™ shoe that will keep your feet fresh and stylish when that hot summer sun hits. These are the perfect ladies' shoes to go from the warm summer days, to the fun summer nights. 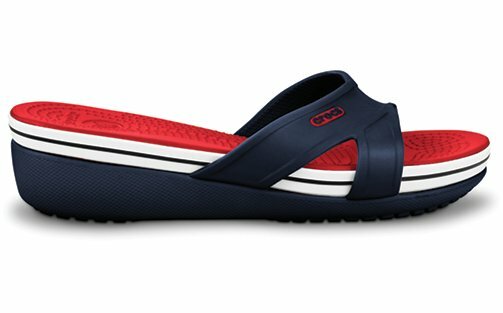 Comfort and style brought together in the fun Crocs™ Crocband Wedge. Fun and hard working at the same time? 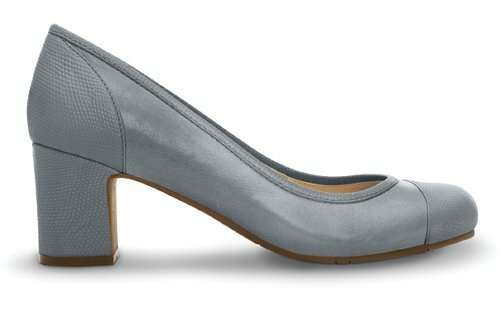 You have a lot in common with the Amstera — a versatile mid-heel closed-toe pump that’s at home in the office yet never too serious to step out at a moment’s notice. Now with the feel-good power of a Croslite™ material footbed for maximum lightweight cushioning. Everyone needs a pair of flats — not everyone wants something so predictable. 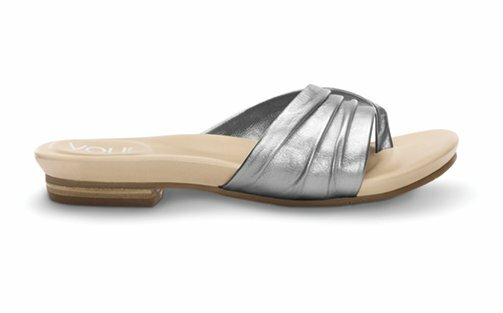 Try on this simple alternative with supple leather, unique lines and the carefree attitude of a flip-flop. You’ll feel cool, relaxed and stylish. 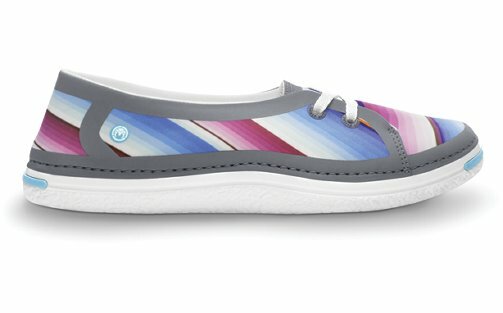 Colorfully cool, completely comfortable. Our Waveseeker collection is perfect for beach and warm-weather style with innovative stretchy uppers that dry quick. They’re like board shorts for your feet! 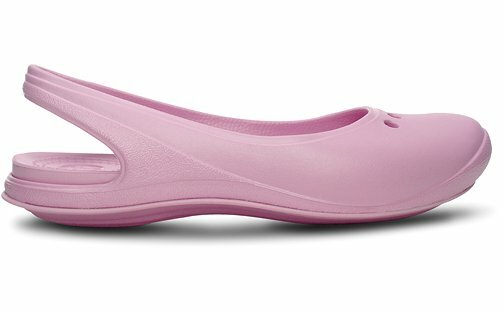 The Crocs Tone™ Skylar Slingback combines the comfort of Crocs and the potential benefits of toning in a stylish silhouette. 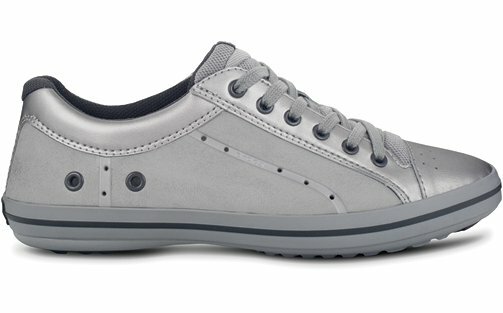 The innovation lies in the three-part patent-pending Crocs Tone™ sole. We have just increased our CPA from 8%, 9%, 10% and 12.5% to a standard 15% across the board. Due to the increase in CPA / Commission we can see this summer is going to be a good one! Passing on the profit to our hard working affiliates. Not only are we increasing CPA / Commission but we also have a free delivery code for you to pass onto your customers. 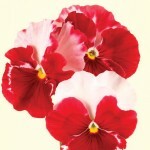 Please use 'Summerfs' for free standard delivery to the UK. Hope you all enjoy some hot weather this Bank Holiday weekend. They will be offering free delivery across all Rugby and Football departments! 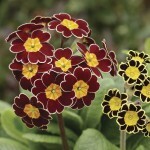 There is a minimum spend of £10- and the free shipping is automatically added at the checkout on all qualifying orders! Sarenza: Caterpillar Private Sale- Up To 50% off! Sarenza.co.uk is an amazing shoe store which is home to over 400 brilliant brands, including Caterpillar- who Sarenza are now featuring in a brilliant private sale! Caterpillar Footwear is well-known for striving for excellence. Their line has grown to include hundreds of diverse styles, which are all amazing quality and extremely durable. 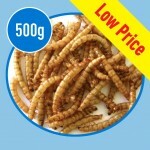 Now customers can get up to 50% off this fantastic brand- in Sarenza's Caterpillar Private Sale! With free shipping and returns- there is nothing to lose! JJB Sports: Pre-order New England Kit & Get Free Shipping! JJB Sports have a brilliant offer for all England fans looking forward to the European Championships in June! They can pre-order the new England kit NOW and have it shipped to them for free on the day of launch, 29th February 2012! Just in time for England’s next match against Holland at Wembley. JJB Sports are also offering shirt printing for just £5 with any pre-order. 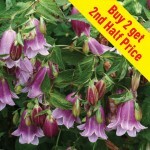 We have a great range of banners available for this offer- but please let us know if there is anything else you need! We have just launched a 3 day offer as detailed below that requires no code and can be used in conjunction with any other promotion on site! Customers can get Free Delivery to any of our Worldwide destinations including the UK. This offer lasts till Friday and is a great opportunity to target your international customers as we know they love this offer! 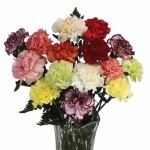 T&C- applies to standard options only, free delivery must be selected at checkout. Further Reductions in Sarenza's sale! Sarenza's sale just keeps getting bigger and bigger! Now they have added over 4500 new styles to their winter sale, further reductions on existing sale items, and up to 60% off over 15,000 other styles across the site! Sarenza.co.uk sells the widest range of shoe brands in the UK, and features the best British and European designers. Don’t miss out on their amazing range for men, women and children, at bargain prices! With massive discounts, free shipping and free returns- Sarenza is the ultimate destination for shoe shopping! 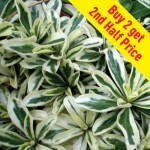 Sarenza's sale begins on 23rd December 2011, and lasts until 7th February 2011! We also have a selection of banners available on Affiliate Window. Please feel free to contact rosanna.marr@latitudegroup.com or craig.jackson@latitudegroup.com with any questions. JJB FREE DELIVERY 25 + 26TH DECEMBER!!! Just wanted to let you know that JJB are offering their customers FREE Delivery on Christmas Day on JJBSports.com. The offer will expire Midnight On Boxing Day. 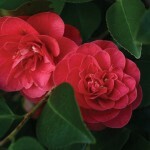 There’s a minimum spend of £10 and applies to Standard UK Delivery only. In order to redeem the offer, the customer must enter voucher code FREEDELXB at basket on either site. EXPIRY DATE: 26/12/2011 11:59 PM.